The first prize of the 2nd BlueGrowth challenge, organized by aephoria.net, went to the “hopwave” team for its online ticketing service for island-based boats to unknown destinations. 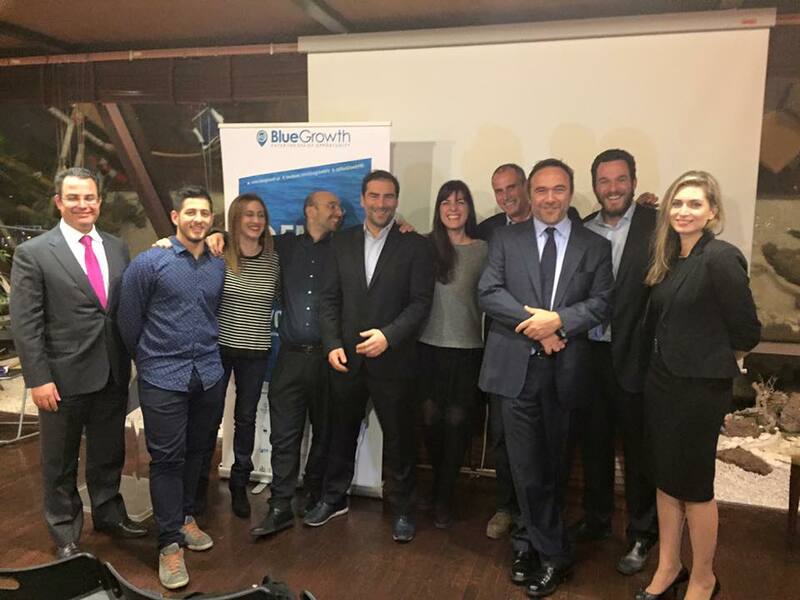 Inspiration and innovation were the focus of the 2nd BlueGrowth startup competition held at the Piraeus Marine Club on Tuesday, bringing to the fore young entrepreneurs and their concepts and business models which aim to have a positive impact on the country’s marine and freshwater resources. Five out of the nine participating teams which presented their blue economy ideas were awarded during the event which was jointly organized by sustainable-business education and incubation program aephoria.net. The winners will receive services worth 5,000 euros, scholarships for MBA programs at the Athens University of Economics and Business and for the graduate program at the University of the Aegean’s Department of Marine Sciences as well as the opportunity to present their ideas at the Posidonia 2016 maritime and shipping show to be held on June 6-10 at the Metropolitan Expo. “The sea has throughout time served as Greece’s means to getting back on track financially; to growing again after wars and natural disasters,” Piraeus Mayor Yannis Moralis said in his opening address. “I am among those who believe that Greece will return to growth yet again starting from the sea, its shipping, its ports and tourism. Shipping and tourism are the two pillars that have shown resilience to the long-lived crisis, keeping the Greek economy alive while all other productive sectors have fallen behind,” he added. And the first prize of the 2nd BlueGrowth challenge went to… “hopwave” for their online ticketing service for island-based boats to unknown destinations. “Xyz” clinched second place for their 3D laser scanner offering onboard browsing via 3D photography. The third prize went to the “Recisle” team for its island recycling scheme. And “Achini Aigaiou” (or Aegean Sea Urchins) came in fourth for their sea urchin aquaculture concept, with “My City-lane Piraeus” taking up fifth spot for their project on connecting cruise travelers with the Piraeus market. ‘Music Village’ @ Athens Airport: Puppet Show, Chamber Music and Funky Tunes!